Danny has had a distinguished career both as a player and a coach. Blessed with speed to burn and a fiery, competitive nature, Danny excelled in soccer, basketball and baseball, plus he also ran on Suffield’s limited event track team. A preview of his impending coaching prowess became evident during high school when he coached the West Suffield Civics Little League Team as a fifteen-year old junior. He graduated from SHS in 1953 where he was 4-year Class President and earned 16 varsity letters; he moved on to Wilbraham Academy for a year and earned 3 more varsity letters. Then, at Springfield College, Danny was a member of the 1958 Springfield College National Champion Soccer Team, was named First Team All New England and named to the First Team (Division I) All American Soccer Team. While there, he also played varsity basketball and baseball. After graduation in 1960, Danny joined Windsor Locks High School as a Physical Education Teacher. Over the next 37 years as a three-sport coach, his teams won a total of 1276 games, including 6 Soccer State Championships (and 3 State Runner-ups) and a Baseball State Championship in 1966. His 1988 Basketball Team went to the State Finals but lost to a talented Avon Team. 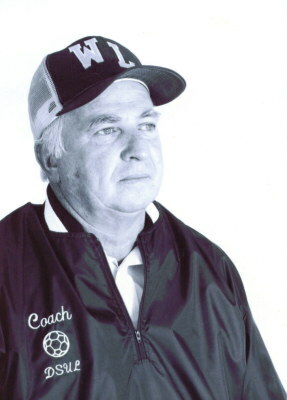 He received the Connecticut Gold Key Award in 1994, was named to the Connecticut High School Coaches Hall of Fame in 1995, National High School Coach of the Year in 1996, Connecticut High School Outstanding Basketball Coach of the year in 1998, Connecticut Soccer Coaches Hall of Fame in 2001, and was inducted into the National Coaches Hall of Fame in 2001.